Straw yellow color. Aromas and flavors of pecan pie, mint chocolate chip ice cream, clove and juniper, and creamy nougat with a velvety, bright, dryish light-to-medium body and a warming, interesting, swift finish that shows accents of lemon bar, gingersnap, and vanilla-mint gum finish. An easy-to-use barrel aged gin for craft cocktails and g&t’s. 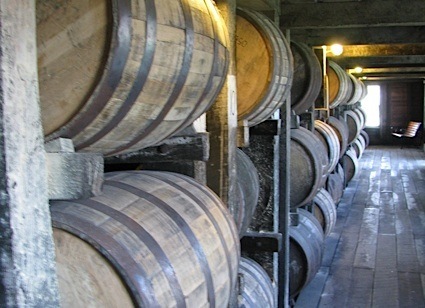 Bottom Line: An easy-to-use barrel aged gin for craft cocktails and g&t's. 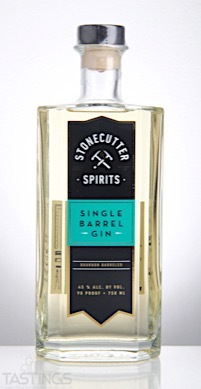 Stonecutter Spirits Single Barrel Gin rating was calculated by tastings.com to be 92 points out of 100 on 4/18/2017. Please note that MSRP may have changed since the date of our review.